In an ever-expanding craft beer field, uniqueness, and originality are highly-sought qualities. Chicago’s Forbidden Root Brewery certainly qualifies on all counts. Billed as Chicago’s first botanical brewery, Forbidden Root grew from an idea founder Robert Finkel had to create a true-brewed root beer to encompass the broader idea of botanic beers. Throughout history, beer has been a beverage that was brewed with ingredients indigenous to the locale where it is brewed. Forbidden Root takes this idea of foraging for ingredients and brings it back to the brewing industry. The brewery utilizes such ingredients as bark, stems, flowers, herbs, spices, leaves, roots, and other foraged flavors as a regular part of their brewing process. The guiding principle at Forbidden Root is to provide a new craft beer experience to beer lovers. Their beers are built around a concept or an idea that is vetted and built upon until a unique flavor profile is developed. Brewers then assemble the required botanicals – using fresh, local ingredients whenever possible – and go to work brewing a complex, layered beer that provides an authentically new experience with roots firmly in historic recipes. The brewer’s current line-up includes three beers all brewed to refresh as well as challenge the drinker. Sublime Ginger is, as the name implies, a ginger-infused wheat beer with an added kick of Key Lime juice to add a bit of tartness. Reviewers at BeerAdvocate.com give the brew a favorable rating with most noting that the hazy wheat brew is refreshing and pleasantly unique. Money on My Rind takes advantage of the popular flavor combination of juniper berry and grapefruit. In addition, this brew is given a spicy constitution through the addition of grains of paradise. Created as a witbier, this refresher is well-reviewed on RateBeer.com and is a welcome addition for session drinking. Wildflower Pale Ale or WPA, infuses the herbal qualities of elderflower, marigold, and sweet osmanthus flowers in to the citrusy character of hops. Users of the popular beer-rating app Untappd give this brew a solid rating and speak highly of the beer’s funky nature. You can taste eachof Forbidden Root’s brews Thursday, January 12, 2017 at Coastal Wine Market & Tasting Room, 641 Crosswater Parkway Suite B, Ponte Vedra from 6:00 p.m. to 7:30 p.m.
Later today St. Augustine, will welcome a new brewery to its mix of eclectic restaurants and watering holes. Bog Brewing will open at 218 West King Street across the street from St. Augustine Beer Brewing Solutions and just up the street from San Sebastian Winery. Occupying a 1,600-square-foot space, the brewery and tap room aims to be a neighborhood hangout, but also to grab some of the burgeoning tourism traffic from the Historic District. Situated just a few blocks from the hustle and bustle of St. Augustine’s tourist hot spots should work in the budding brewery’s favor. Steven Mendoza, John France and Jeffrey Hayes began renovating the space a year ago. Gone are the tacky linoleum and carpeted floors, stucco walls and outdated furniture. In are sleek polished concrete floors, exposed brick walls and a bar and furniture made from reclaimed Okeechobee wood. 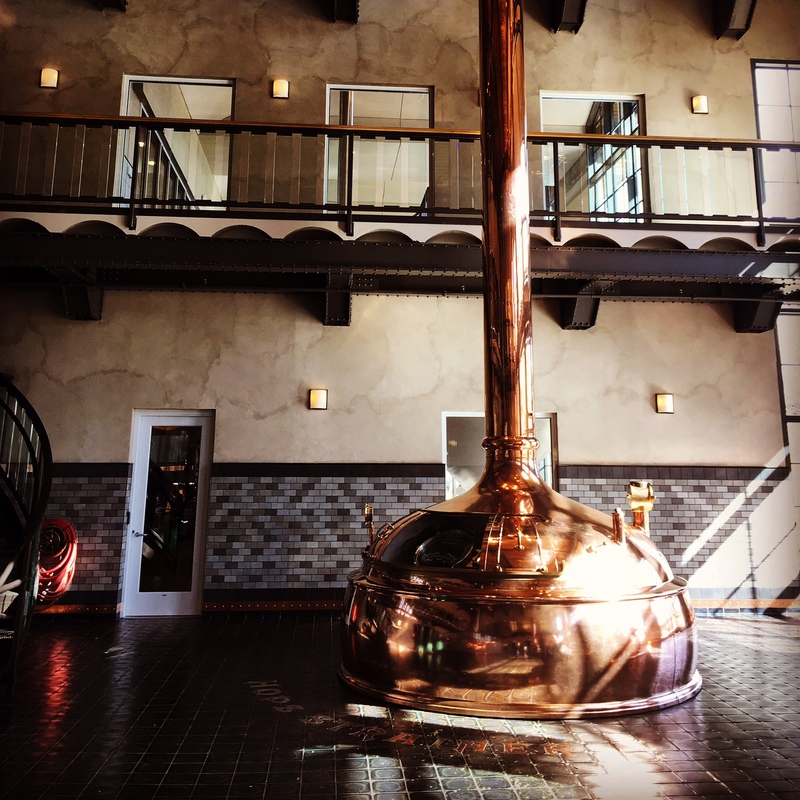 The center pieces of the room are the two copper brewing vessels and fermentation tanks. The changes make the room inviting with a rustic feel. The brewery will operate on a new philosophy in the brewing world – rotating taps rather than a few core beers with specialty beers filling out the tap selection. Operating in this way makes it more likely that guests will be presented with new beers on each visit and encourage them to try different flavors and styles. To begin with the brewery will serve a Wheat Pale Ale, an IPA (single Pacific Jade Hop), a Cream Ale and a Smoked Chipotle Porter. Doors open at Bog Brewing tonight at 12:00 p.m. and close at midnight. Normal business hours will be 4:00 p.m. to midnight Wednesday and Thursday, and 12 p.m. to midnight on Friday and Saturday. Look for a new brewery out of Savannah, Ga. to be gracing the shelves of your local beer store soon. Coastal Empire Beer Company has partnered with Cavalier Distributing in Lakeland, Florida to open distribution for the state of Florida. The brewery began as a contract brewer, but quickly began brewing their own beers and winning medals for them. Coastal Empire’s core lineup includes Southern Delight Praline Amber, Inshore Slam IPA, Tybee Island Blonde(Kolsch) and, Savannah Brown Ale. Other releases will include Dawn Patrol Imperial Molé Stout (2014 GABF Bronze Medal winner Herb&Spiced Beer category), Barrel Aged Savannah Brown, Red Wine Barrel Midnight in the Garden ICS, and finally Coco-Piña Gose brewed with Pineapple, Coconut and Pink Himalayan Salt. A Jacksonville launch event is planned for some time in the next few weeks. Follow me on Facebook (https://www.facebook.com/Jax-Beer-Guy-105824162894505/) or Twitter (https://twitter.com/SPRBrewCrew) for more details. Beaches brewery Engine 15 opened their Myrtle Street production brewery about a year and a half ago. The idea all along has been to have a taproom and beer garden at the new brewery, but zoning laws have restricted the brewery from realizing that dream. That may changing soon as E15 applied for rezoning that will allow them to build and open a taproom to compliment the already finished outdoor beer garden. In a recent conversation at the Myrtle Street property, owners Luch Scremin and Sean Bielman agreed that the process has been a long and sometimes frustrating one. The current zoning or the property — light industrial — prohibits the sale of product directly from the manufacturing facility. The rezoning request will alleviate that problem and make way for the planned taproom to open. In addition to the taproom, the brewery owns an early 1900’s factory building that was once used to manufacture glass. The building is an industrial beauty with a wall of opaque blue windows along the back and airy rafters with glass windows above. 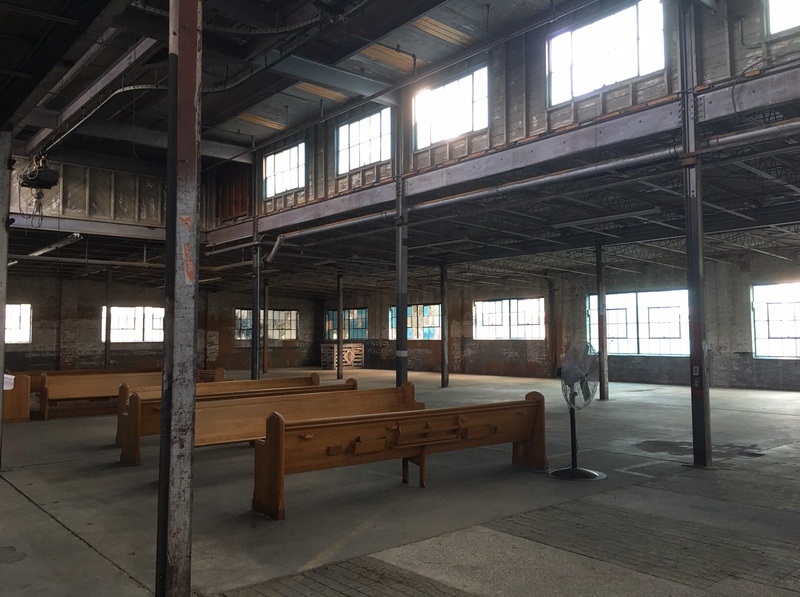 When the rezoning is complete, the brewery plans to use the space for special events and rental. Other recent news from E15 comes in the form of an announcement that the brewery is planning on expanding into making both hard ciders and meads. Brew Hub, the company that could be called a grand experiment in craft brewing is proving that the experiment is an unqualified success as it announces expansion plans and the acquisition of two more clients. The company grew from an idea conceived of by former Anhueser-Busch executive Tim Schoen and opened for business just over a year ago. It billed itself as “Where Craft Brewers Go to Grow.” And, with the growth of its own portfolio along with those of its clients, Brew Hub has certainly made good on its promise. With the addition of new partnerships with JDub’s Brewing Company of Sarasota, Fla., and M.I.A. Brewing Company of Miami, Fla., Brew Hub adds to a client list that includes Tampa’s Cigar City and Brew Bus brewing companies as well as Green Man Brewing out of Asheville, NC. And several others. 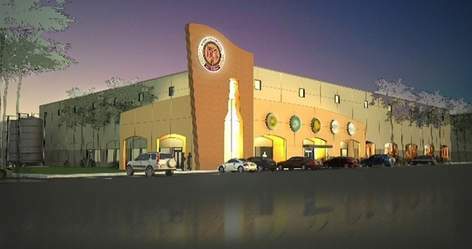 Brew Hub’s 64,000 square-foot Lakeland brewery opened September 2014. The brewery had an initial brewing capacity of 60,000 barrels, or nearly 1 million cases, annually. The expansion will increase the brewery’s capacity to 100,000 barrels, or 1.4 million cases, annually. In addition to its home brands, Brew Hub brews beer for partners Cigar City, BJ’s Restaurants, Toppling Goliath, Green Man, Orange Blossom, GolfBeer and Brew Bus. 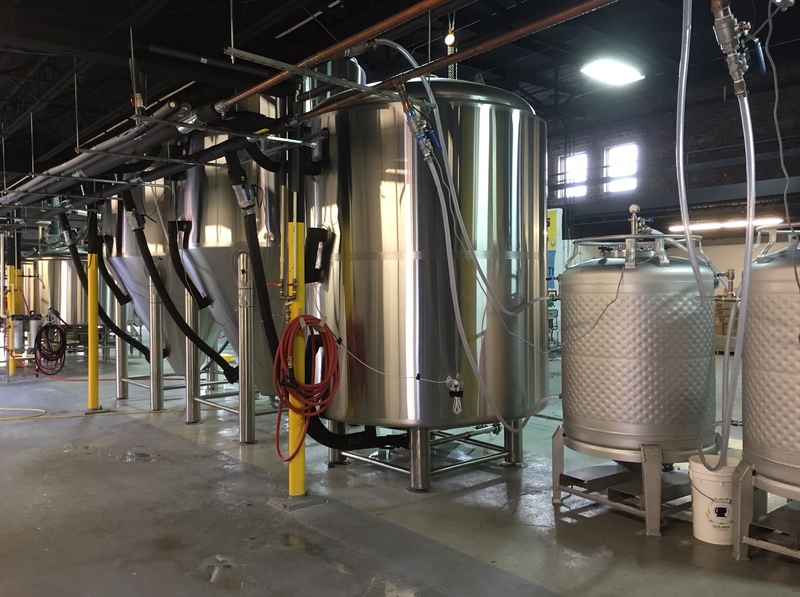 During its first 12 months of operation, Brew Hub expanded its bottling line and installed a new, state-of-the-art canning line to handle increased demand. In January, the company will install new bright beer tanks, increasing packaging capacity by 64 percent. In February, the company will add eight new fermentation tanks, increasing fermentation and conditioning capacity by 60 percent. At the one year anniversary festival in September I was fortunate enough to get a guided tour. The brewery is a testament to modern brewing science and is immaculately clean. A massive brewhouse dominates one side of the cavernous room while fermenters line the other. As we walked, Brew Hub’s chief of brewing operations, Jim “Otto” Ottolini, hinted at the idea of expansion, but never fully revealed the plan. Brew Hub provides full brewing, packaging, distribution and selling services for craft brands that are constrained by capacity, geography or capital. Due to high demand, Brew Hub’s brewing capacity has been sold out since July 2015. The expansion allows for an increase in production for all existing partners and the opportunity to add new partner brewers. The expansion also is needed to meet projected growth for 2016. To paraphrase a local marketing tag line, downtown Jacksonville is on fire. Bold City Brewing Company has announced that it will open a small-batch brewery and tap room on Bay Street adjacent to the Cowford Chophouse project already underway. 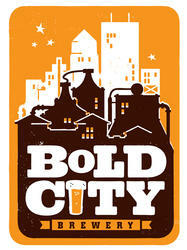 Bold City is the third Jacksonville brewery to announce plans for downtown – or near downtown – facilities. Last year Intuition Ale Works revealed plans to build a new brewery, tap room and restaurant near the sports complex and several years ago Beaches brewery Engine 15 Brewing Company purchased several buildings on Myrtle Avenue for a production brewery and eventually a beer garden and tap room. The new location places Bold City squarely in the center of the growing downtown entertainment district known as The Elbow. Neighbors include the already mentioned Cowford Chophouse from the Forking Amazing restaurant group as well as 1904 Music Hall, Underbelly, Burro Bar and Dos Gatos. With a smaller production system, the downtown brewery will focus on more varieties of beers rather than the brewery’s core brands. This provides brewers a greater amount of latitude for experimentation and bolsters creativity. It also will allow the main brewery on Roselle Street to continue to focus on producing core brands for both keg and can distribution. Hours of operation have not been announced yet, but the brewery is shooting for an August or September opening date for the new location. Even though the large brown attraction sign on Highway 26 headed in to Asheville, North Carolina announce its existence, it is hard to form an accurate picture in one’s mind just how extraordinary the Sierra Nevada Brewing Company brewery in Mills River, North Carolina really is. Even after you drive along the side of the small regional airport and then take a non-descript road behind it the magnitude of the brewery does not sink it. It is only when you get your first glimpse of the intricate front gates of the complex as you enter the roundabout outside them that you start to get a feel for the splendor that lies ahead. As you drive along the winding road that leads from the gate to the brewery it is obvious that this brewery was not built in an old warehouse or abandoned brick factory as so many craft breweries are. The care that was given to the look of the road, the safety rails and even the street lights are clues to what will greet you when you arrive at the front of the building. As round the final bend in the road the first thing you notice are the solar panels placed evenly throughout the parking lot. Then, as you move further in to the parking area you notice the beautiful façade of the brewery building, the eye is drawn to the peaked roof trimmed in copper over a wall of windows looking in on the shiny copper brewing vessels. To one side of the brewing room are a cluster of towering fermenters on the other are arch-topped windows and signs announcing the location of the brewery offices and taproom. The building is a work of art that both impresses and provides a measure of coziness. It exudes class and taste while maintaining a warmth not dissimilar to what one might feel in a mountain chalet. Inside, the building is equally impressive. The windows let in streams of natural light that reflects off highly polished copper surfaces that seem to be everywhere. Above the entry for the offices and tour desk hangs a beautiful tiered chandelier that upon closer inspections reveals it is fabricated of hundreds of brown beer bottles. The wall behind the tour desk is a modern, yet rustic mixture of layered glass panels with roughly hewn wood planks sandwiched between them. The guided tour takes visitors deep into the heart of the brewery and along a gleaming central corridor. Stops along the tour include a view at one of only a few wet grain mills in the United States, the hops room full of bins of herbaceous, brightly colored hops, in to the brewing room, the fermentation room and for a look at the yeast propagation tanks and the packaging rooms. It also includes stops in hallways festooned with dark wood display cases showcasing brewing memorabilia including some of the very first bottles of Sierra Nevada beer ever produced. As is often the case on brewery tours, there is also an opportunity to sample the fruits of the brewers’ labors. On our visit we were treated to a number of special beers because it was the breweries 35th Anniversary of being founded in Chico, Calif. But, after the tour is over there is plenty more to do at the brewery. Just a few short steps away is the brewery taproom and restaurant. Upon entering this space you will notice that there are several small beer kettles lining the windows to the right. These are used for smaller batch and experimental brews to be served at the taproom bar visible straight ahead. If you are looking for a taproom with a kitchen slapped on as an after-thought, you are going to be disappointed. However, if you are looking for a restaurant that prepares delicious, thoughtfully created dishes that pair incredibly with beer, you will be in heaven. Dishes like wood roasted pork belly, duck fat fries and pretzels with pimento beer cheese are served on small plates meant for sharing and enjoying together. Special beers along with Sierra favorites are also available in the taproom and can be expertly paired with the menu items upon request. After dinner, plan on strolling to the back of the building and enjoying a few brews on the patio or in the amphitheater. The space features a roaring fire pit and plenty of comfortable chairs and tables throughout. In addition, there is a bar serving cold brews right on the porch. 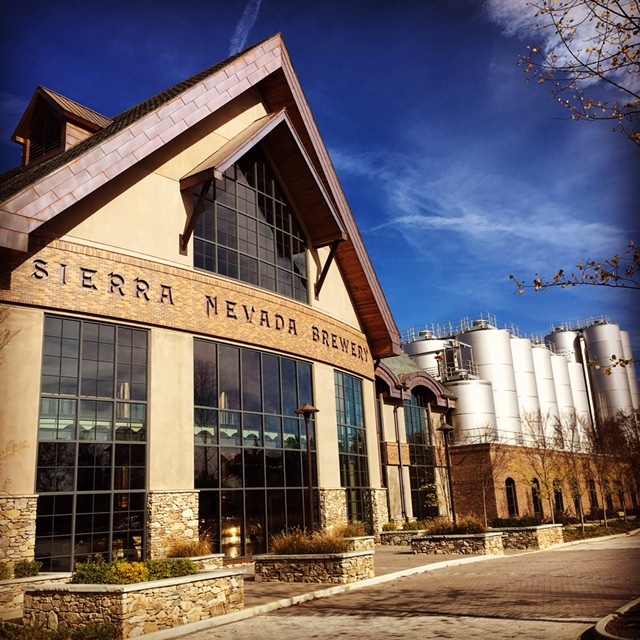 It is evident in the attention to detail that the North Carolina brewery was a labor of love for Sierra Nevada. Many have referred to it as the Willy Wonka Chocolate Factory of breweries. 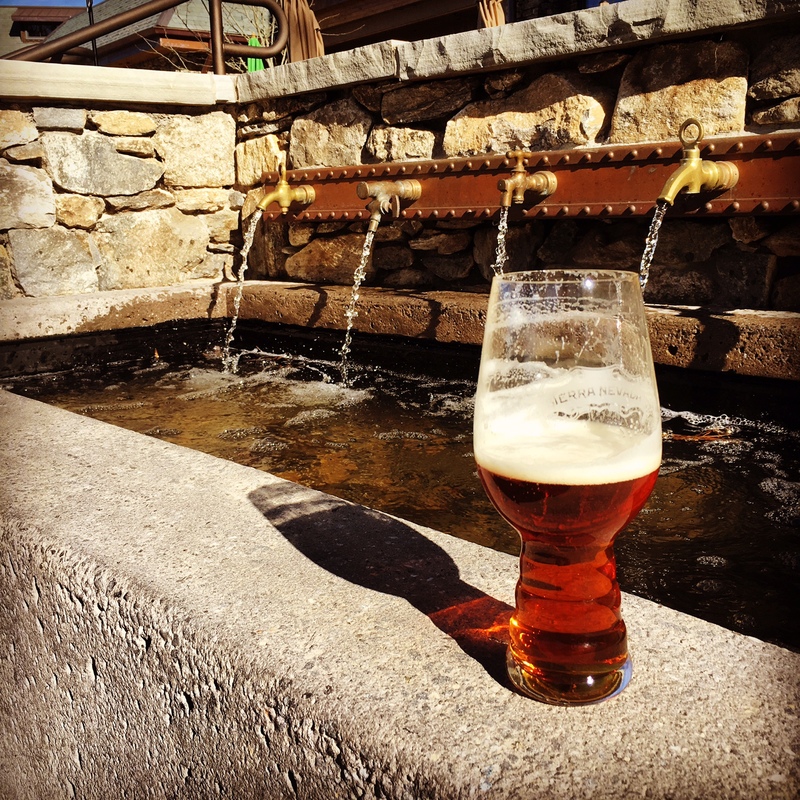 For beer-lovers that are looking for an extraordinary experience that encompasses an interesting look into one of America’s best breweries, lively tasting and delicious culinary experiences in a beautiful setting, the Sierra Nevada Brewery in Mills River, North Carolina is a must-visit.